Alex Jones’ team conspired to fake the readings on their Geiger counter. Observe as their readings head into the stratosphere, only to slow and go back down when the wand isn’t hovering over the pre-buried object. A helping hand reaches out to redirect the reporter. Suddenly the readings go back up. 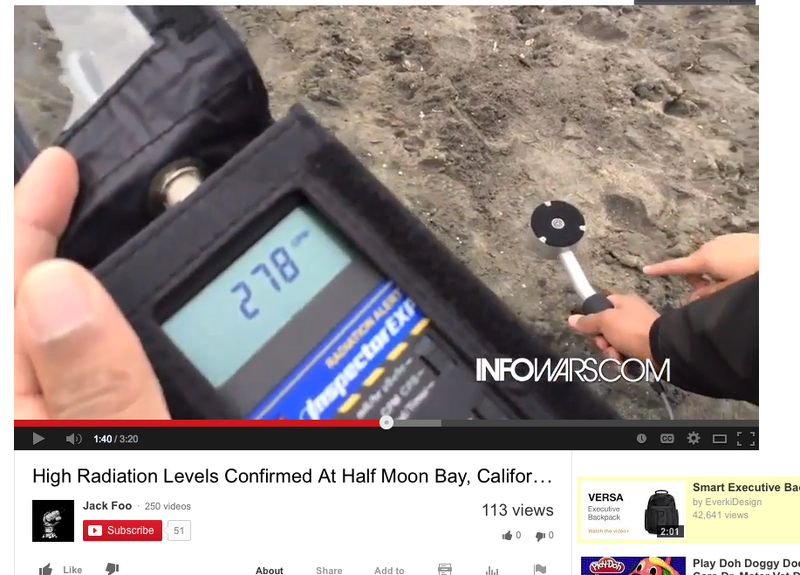 Since this video, Alex Jones has had to admit NO ONE locally got the insane readings his team got on this fraudulent day. Observe at 1:40.